Netflix announced through their blog today that there are changes coming to the Netflix user account management page. They said it will not affect any of their regular services. Only the account management page is changing. 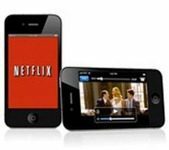 Netflix also states that the pricing for both the streaming and DVD plans will remain the same. In a rather awkwardly written FAQ about the changes, Netflix says the billing will only change if a customer currently has a streaming-only or a DVD-only plan and adds the other service to it – which would seem to be a pretty obvious statement to make. Though they do appear to indicate that customers adding the other service will have that secondary service charged separately, while current customers using both the services are charged once.. The FAQ page also states that members that are currently using streaming-only or DVD-only plans may be eligible for a free, one month, trial of the service which they are not currently using. But it fails to say what the eligibility requirements are, or how this relates to the changes in the management page. What do you think Netflix is up to? Are the changes to the management page a lead up to something else? Leave your comments below!